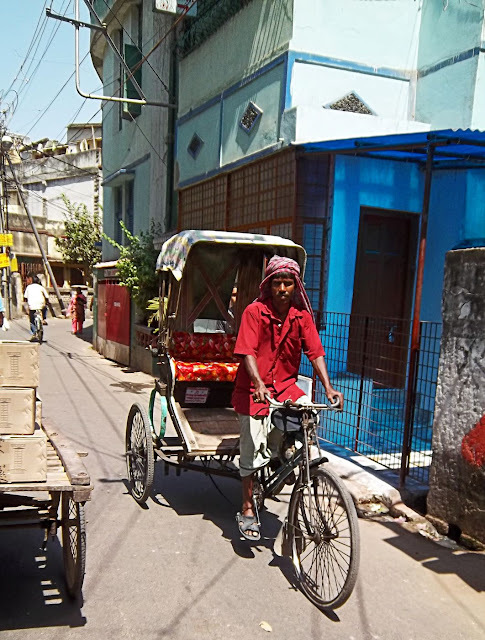 These are photographs of cycle rickshaws, two from Kolkata in West Bengal, one from North India and one in Pondicherry or Puducherry in Tamil Nadu. 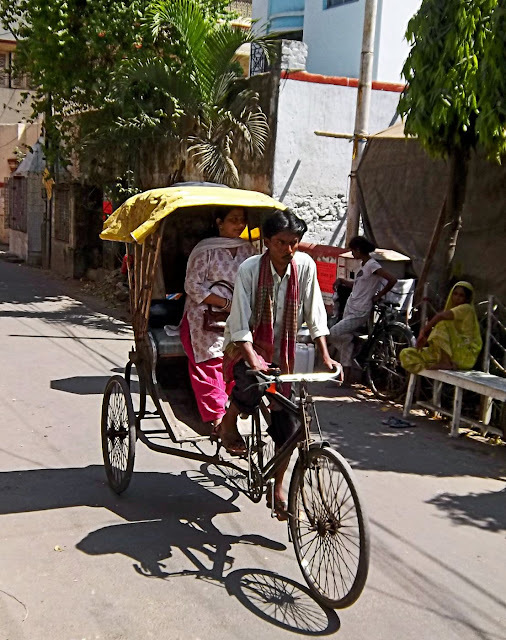 In this photograph you can see a woman passenger riding in the cycle rickshaw on a Kolkata road. 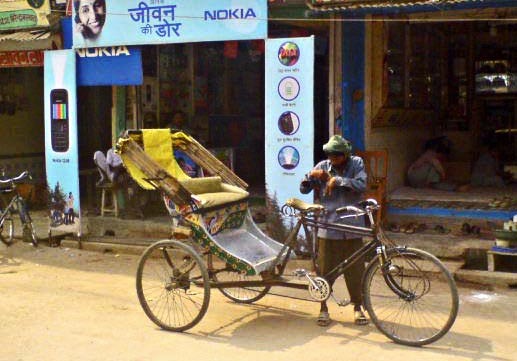 This is another cycle rickshaw in Kolkatta. These rickshaws are ideal to navigate narrow lanes in Kolkata. This one is shot in Uttar Pradesh. Although the picture is of a fairly low resolution and for web use only, this picture is interesting as it has the rickshaw driver putting money in his pocket. The poverty of Indian rickshaw drivers is noticeable. However this cycle rickshaw driver in Puducherry seemed relatively well-off. 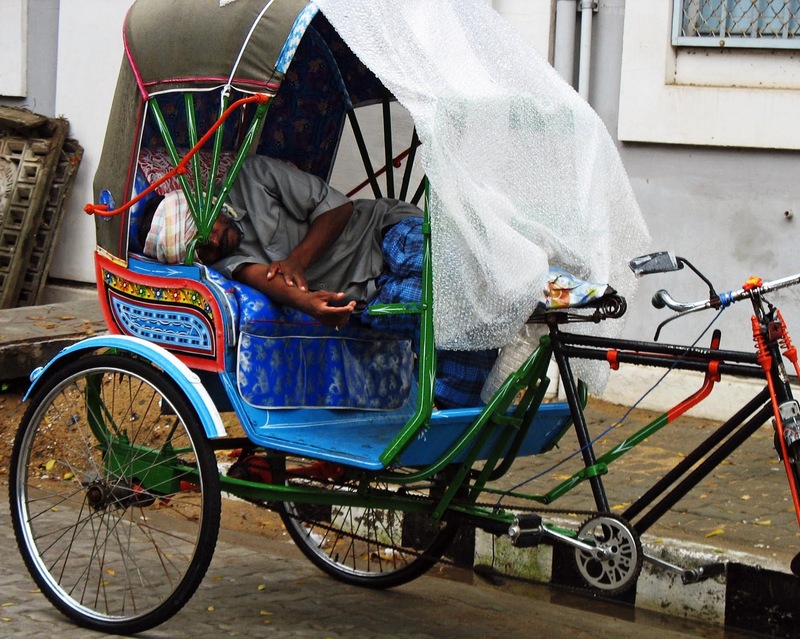 His cycle rickshaw looked freshly painted and the driver was having a nap even though it was the middle of the day.